(D11) arrival dated */JY 4 12 on 25c Alfonso. 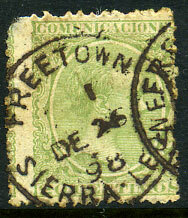 I/DE 26 98 on Spain 1889 20c yellow green King Alfonso (Sc.262), thinned corner. 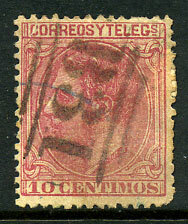 as arrival on Spain 1879 10c rose, fine and unusual.